A TALENTED young Warrandyte sailor has taken on the world at the Spanish sailing championships. Orlando Yen has sailed since he was four years old and is a very familiar face at the local sailing club on Sugarloaf Reservoir, where he helps out coaching newer sailors. He regularly competes in regattas in Victoria and interstate and his passion and skill has earned him trophies in many of these events. Orlando is now 13 and has spent thousands of hours sailing his O’pen Bic ski as fast as he can. He is a member of the Victorian State Sailing team. This August, he was invited to join the Australian Team to compete in the O’pen Bic World Championships in Spain. Warrandyte Lions, Rotary and the Riverside Market quickly put up their hands to sponsor Orlando to see him compete. Four boys and two girls from Victoria and Queensland landed on the beaches of Arenys de Mar to represent Australia against 171 sailors from 15 countries. The weather was hot and sunny and the Mediterranean inviting — but the winds were light and frustrating. Orlando scored a creditable 35th place overall in the trying conditions. The Australian team all placed very well. One of Orlando’s team mates was rst in the Under 13 division. Orlando is extremely proud to have represented Australia as such a prestigious event. It was a great experience to travel to Spain and he made good friends. The coaches (parents of two of the team) organised his food and accommodation and even took him for a day of sightseeing in Barcelona. Back in Australia now, he is back in training for the next World Championships, to be held in Auckland in 2019. ROUND 15 of the 2018 Big V Basketball League was coined the “Life Members Round” and during the break between the Division One Women and Division One Men on the Sunday, Warrandyte Basketball Club’s life members were recognised by the club. Club President Emma MacDougal spoke to the Diary about how much the club values the effort and time life members have put in and continue to put in. “The aim is to reflect on the contributions they have made and recognise it in a really meaningful way in terms of the work they did to set the club up and setting the wheels in motion to get the club to the point where it is. We have a number of life members who have invested significant amounts of their time into the club to make it successful,” she said. Justin Nelson, Warrandyte Basketball former coach, and current general manager for the Melbourne Boomers told us about the clubs development and how the life members are the embodiment of the club’s history. “I was privileged to be able to coach Big V here for 10 years, we won a lot of Championships, and were in a lot of Grand Finals. Justin’s work with the Boomers means he is unable to be as active in the Warrandyte club as he would like, but he treasures his time spent coaching Warrandyte Venom and hopes to come back in the future. “To be able to coach more than 200 State league games here was exciting and I hope to be able to help off the court and help the next generation come through”. After the life members presentation, some of the Junior players played a seven minute exhibition match, demonstrating the quality of their coaching and their passion for the game, a passion Cameron Whitmore, 11 and Hamish Thompson, 10 exude off court as well as on it. “I like the competition and it is always good to get a win,” said Cameron. “I have been playing Basketball for four years, I normally play point guard — I love that I get to play with my friends and I have an amazing coach and I love the competition,” said Hamish. With two rounds to go, both Men’s and Women’s Division One teams are unlikely to see a place in the Grand Final this season but the club’s passion, experience and quality is reflected in all members of Warrandyte Basketball club. 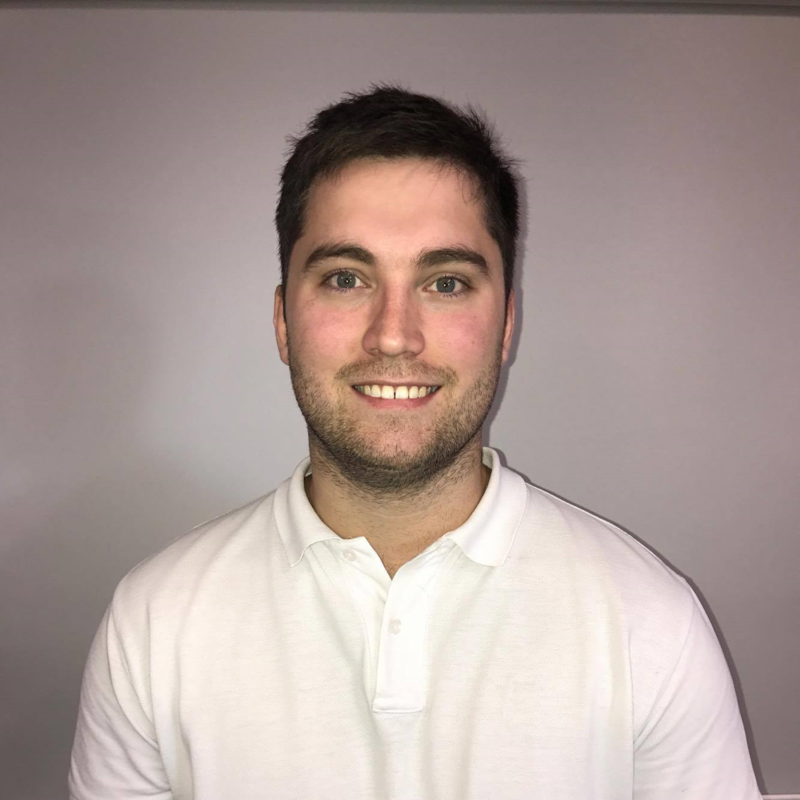 Warrandyte Basketball Association (WBA) has announced the appointment of Ryan Holloway to the position of Coaching Advisor. In a statement released by the club’s committee of management, they outlined the considerable experience Holloway brings to the role. “Ryan has extensive experience in coaching, having coached for both Warrandyte and Park Orchards teams in the Eastern Districts Junior Basketball League (EDJBA) and for Warrandyte Venom in the Victoria Junior Basketball League (VJBL). “His skills as a coach are highlighted by coaching many EDJBA A grade teams and VJBL Victorian Championship level teams. “Ryan has had experience in the State program as an NITP coach and Assistant Coach with the Victorian Ivor Burge Men’s program. “He is currently the Head Coach for the Australian Dingoes U21 team (Deaf Basketball Australia), Head Coach for a Warrandyte Venom U14 team and Assistant Coach for Australian Boomerangs. Ryan is also currently the Vice Chairperson for Disability Sports Victoria and the Warrandyte Park Orchards Referee Branch President. WBA has 40 EDJBA teams and 21 VJBL teams as well as four Big V Venom Teams. The statement goes on to say the club is looking to “grow and strengthen current domestic and representative programs by supporting its volunteer coaches through the provision of developmental opportunities”. In his new role, Ryan will be “responsible for developing and delivering a coaching program to support fundamental skills acquisition of our volunteer coaches. “The key focus will be mentoring our Redbacks and Venom coaches and setting base expectations for skills development, quality and behaviour,” the statement says. Having played basketball for Warrandyte Redbacks, Venom and Big V Youth League, together with his coaching experience and qualifications, the committee says they are confident that Ryan will be a great addition to the Warrandyte Basketball Association. CURRENT Warrandyte Venom coach and previous Venom and Redback player Ryan Holloway is the current coach of the Australian U21 Men’s Deaf basketball team — the Dingoes. This year the Dingoes will be travelling to Washington DC to compete in the World U21 Deaf Championships in July. This is the first time that Australia has ever been able to send an U21 team to the Championships, and Ryan told the Diary the team are all very excited about the opportunity. The team of 10 come from four different states and range in age from 14-year-old development players to 20-year-olds with all the players getting together once a month to train. The skills of the players range from those that have competed in rep basketball to those who started 12 months ago. Venom put the Dingoes through their paces in a friendly match, as the team work towards the big event. “We would like to thank Warrandyte Basketball for their support in hosting our first practice game,” said Ryan. The Dingoes are looking forward to continuing to work with Warrandyte Basketball and the community in the future. At the Championships, the Dingoes will square off against teams from Argentina, Canada, Greece, Israel, Japan, Lithuania, Poland, Russia, Spain, Ukraine and the USA. The road to the Championships is not an easy one, as the team needs to raise the money to get to Washington. “Unfortunately, Deaf national teams do not receive federal funding, so we are all trying to raise as much money as possible,” said Ryan. The Dingoes are currently raising funds for their journey to Washington DC with a wine drive. To purchase a minimum half case of wine through Prospect Wines, visit bit.ly/DingoesWineDrive. You can also follow the Dingoes progress and support their campaign through their social media channels. Facebook: @dbasketballaus, Instagram: @dingoesdeafbasketball deafbasketballaustralia.org.au. 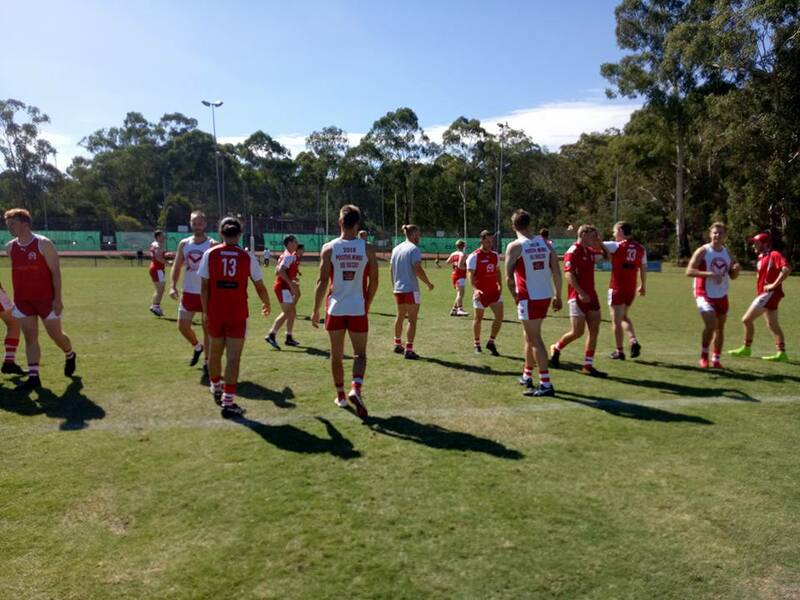 THE BLOODS failed to find a win in the first round of the 2018 season but showed promising signs across the board in front of a sizeable home crowd. The 19s kicked off the 2018 season with a tough loss, fielding an inexperienced side with a number of Under 17s filling in and playing with 16 on the ground. The game began on an even keel, with Warrandyte trailing by just two goals against a fast-starting Basin side. The young Bloods were eager for the contest and were silky in various passages of play. Numbers would be telling in the contest however as the Bears pulled away to hold a five-goal lead at half time. There were promising signs throughout the quarter, often showing quick hands around the contest and hitting targets around the ground. Jake Trewella and David Wilson continued to battle it out in the midfield but the full-strength Basin side turned on the afterburners in the last half to run out 10-goal winners. The 19s will be better for the run and with players to return this week, they’ll hope to rebound against Donvale this coming weekend. Callum Padfield presented well up forward for his two goals while Mackenzie Smead was often a strong option down the line. The Reserves blitzed their opponents early, slotting the first four goals of the game in what would be a bruising encounter against a big bodied Basin side. An experienced Bloods outfit displayed strong clearance work out of the middle and slick ball movement to take the lead within the first minute with Bailey Campbell opening Warrandyte’s account for 2018. Goals to Sid Phillip-Owen and debutant Brendan Ludbrook saw them skip out to a 16-point lead at the first change. The Bears eventually came out of hibernation after the break, trimming the margin with three quick goals to start the second term. The experienced heads of Tim Beasley and Mat Munro toiled away in the midfield and Lochlan Ruck converted a crucial set shot on the siren to hold a slender one-point lead. Overusing the ball would be the Bloods downfall after half time. New skipper Trent Parker tried hard as did Drew Corke who tried to inject some controlled ball movement off half back. Ultimately, sloppy skills set the tone for the rest of the game and Basin eventually ran out 32-point victors. Best: Sid Phillip-Owen, Tim Beasley, Lochlan Ruck, Mat Munro, Luke Brewis, Drew Corke. The Senior squad were eager to start their season on a positive note and if their first goal was any indicator of their intentions in Division Three, fans could be set for an entertaining year. The first clearance of the game found its way into the Bloods forward fifty and into the hands of Nikoda Brooking. Right on fifty and pushed up to the boundary, Brooking converted the difficult chance in front of a strong home crowd and the Seniors were off the mark. It was a tight tussle in the first quarter as both teams struggled to gain the ascendancy early. New recruit Mitch Buckley was strong early, imposing himself on the contest in tandem with Zach Ballard. The Bears kicked quick goals however to take a 17-point lead into quarter time. The Bloods put on a strong performance in the second term as they executed quick passages of play to catch The Basin napping in defence. Goals to Jordan Powell, Josh Beasley, Michael Cullum and another to Brooking saw a swift turnaround in fortunes and at half-time Anthony McGregor’s men held a one goal advantage. Max Jaffrey was dealt a cruel blow after he broke his finger in the second quarter. The promising young player is set for an extended period on the sidelines. The third quarter was an enthralling one to watch. Lewis Oliver stood tall in defence and Ruckmen Andrew Briffa and Taylor Hayton worked well together. Brooking continued to find the ball and the goals, adding another to his tally late in the quarter. Both teams went goal for goal and at the final change it was a one-point game. With everything to play for leading into the last quarter, McGregor implored his players to banish the demons of 2017 and finish strongly. Those hopes evaporated when the Bears slammed home seven goals, overrunning the Bloods in the last. Vice-Captain Michael Cullum scored a late consolation goal but it wasn’t to be on the opening day of Warrandyte’s season, The Basin running out 29-point winners. Nikoda Brooking was named Warrandyte’s best for his three-goal performance. Warrandyte plays Donvale at Donvale Reserve on April 14.